Property 3: Lake Hiwassee Cabin w/ Water Views-1 Mi to Marina! 'Otter Cottage' Riverfront/Trailside Murphy Cabin! Property 10: 'Otter Cottage' Riverfront/Trailside Murphy Cabin! Relax in Turkey Creek Acres on the Nottely River!! Property 12: Relax in Turkey Creek Acres on the Nottely River!! Spacious Cabin - Hot Tub, Screened in Porch and Views! Discount for 7+ Nights! Property 14: Spacious Cabin - Hot Tub, Screened in Porch and Views! Discount for 7+ Nights! Newly Renovated Cottage in Bear Paw. Close to lakes, pool, tennis. Property 15: Newly Renovated Cottage in Bear Paw. Close to lakes, pool, tennis. Property 16: Secluded Setting Conveniently located close to downtown. Property 17: Modern Rustic Cabin on 5 acres in Cherokee National with amazing mountain Views! Blue Shutter Cottage at Bear Paw - Great Mountain Getaway! Property 18: Blue Shutter Cottage at Bear Paw - Great Mountain Getaway! Mountain Retreat with Amazing Views! Property 20: Mountain Retreat with Amazing Views! 'Hidden Hollow' Murphy Cabin on Nottely River! 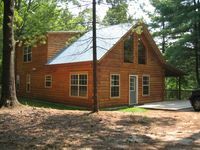 Property 22: 'Hidden Hollow' Murphy Cabin on Nottely River! Property 28: Waterfront getaway on Hemptown Creek. Property 29: Couples Retreat with Incredible Mountain Views! The perfect vacation cabin for families. Directly on the river. Property 44: The perfect vacation cabin for families. Directly on the river. 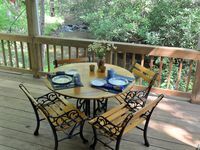 Property 46: Toccoa River Valley Retreat, Private Dock, Great Fishing, Relaxing Setting! Very quiet, hot tub was great and they had a lot of things we needed as well. We will recommend and re visit. I wish there was a trash can. We took our trash to the dump site and they said without a ticket we could not come back. We took care of it though and it was still awesome.